Elizaveta Dmitrieva is a rising star pianist who joined Bolshoi Opera Young Artists Program in 2012. She frequently performs in Russia as well as abroad, in Germany, Poland and Japan. In Moscow Elizaveta has performed in the Small and Rachmaninov Halls of the Moscow Conservatory, concert halls of the Union of Composers of Russia and the House of Scientists, the Feodor Chaliapin Museum and the Concert Hall of the Central House of Arts. Elizaveta performed as soloist and chamber musician at the International Piano Festival in Prague (1998), Ars Longa festival in Moscow (2001) and Petropavlovsk-Kamchatsky. From 2011 she joined the Russian Guild of Collaborative Pianists. 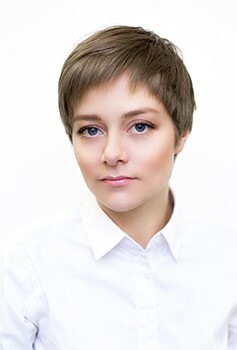 After graduating from Moscow’s Gnessin Music School in 2000 with a diploma in piano performance and collaborative piano, Elizaveta continued her studies at the Moscow Conservatory with Prof. Rotshina and collaborative piano with Prof. Beloussova. She worked as an accompanist in the Sveshnikov College of Choral Arts, the Moscow Prokofiev Music School, the International Slavic Institute, and the Prokofiev Opera theatre studio and has participated in the production of the musicals Nord Ost and The Cats.